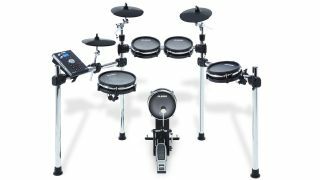 NAMM 2018: Alesis is looking to strengthen its position in the electronic drum set market with the launch of the Surge Mesh and Command Mesh 8-piece kits, each of which comes with five drums and three cymbals. Both kits promise responsive mesh heads for a realistic playing experience, and ship with drum modules and a 4-piece chrome rack. The Surge Mesh and Command Mesh kits will be available in the first quarter of 2018 priced at $499 and $699 respectively. Specs for each are below, and you can find further details on the Alesis website.